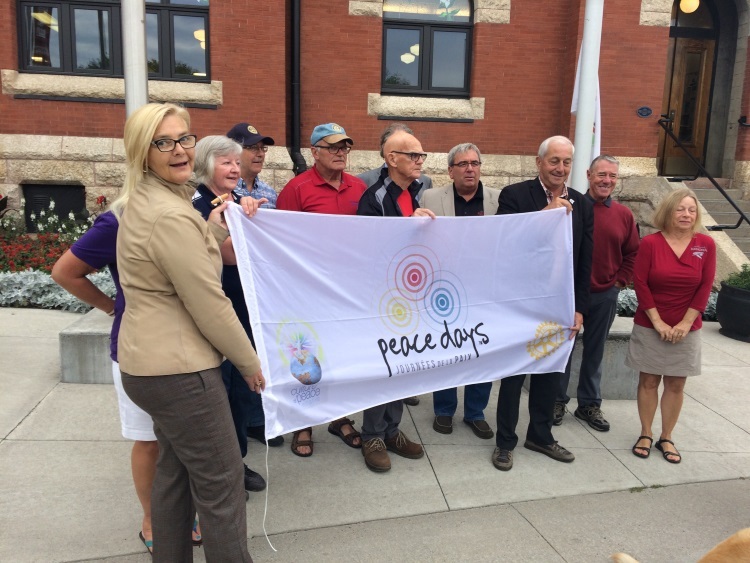 Rotarians in Kenora raised the peace flag in honour of the September 11 attacks, and the International Day of Peace which takes place September 21. Rotary President Lynn Carlson talked about why they did it. "It's important to Rotary because our philosophy is around peace. We're about helping others around the world, whether that's within our community or globally," she said. September 11, 2018 marks the 17th anniversary of the September 11 attacks in New York City. Nearly 3,000 innocent victims, including 24 Canadians lost their lives.